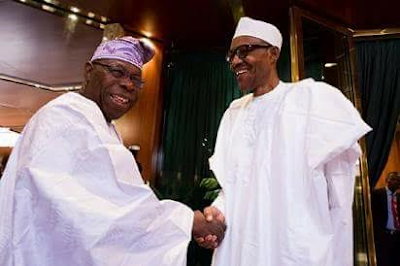 President Muhammadu Buhari has felicitated with former president, Chief Olusegun Obasanjo, on the occasion of his 80th birthday. According to a statement by presidential media aide, Femi Adesina, President Buhari in a phone call from London, where he is convalescing, told Obasanjo that a time like this provides opportunity to reflect on Obasanjo's invaluable roles and contributions to the unity and cohesion of Nigeria, the brotherhood of all Africans, as well as peace and amity over the globe. Chief Obasanjo wished President Buhari good health, saying he stands together with him in prayers, so that he can return soon to continue the good work he is doing for the country.